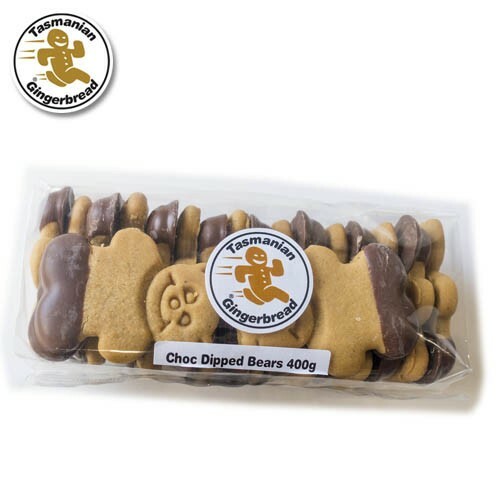 Chocolate dipped Bears Bulk Pack - in bag with hangsell tag. The cutest and most delicious bear shaped gingerbread biscuits wearing chocolate pants! Butter, Vinegar, Baking Soda, Ginger, Cinnamon, Chocolate.